WE ARE A 55 PLUS PARK FOR ACTIVE ADULTS, WITH MANY AMENITIES, CATERING TO LOCAL RETIREES AND WINTER VISITORS. THERE ARE 50 MOBILE HOME SPACES AND 70 RV SPACES AVAILABLE FOR FULL-TIME OR PART-TIME RESIDENTS. 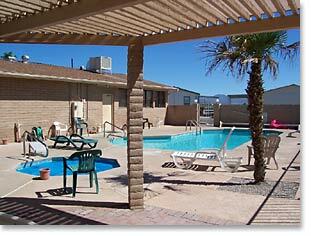 THE PARK HAS CONTINUALLY BEEN IMPROVED WITH MODERN AND FRIENDLY AMENITIES. 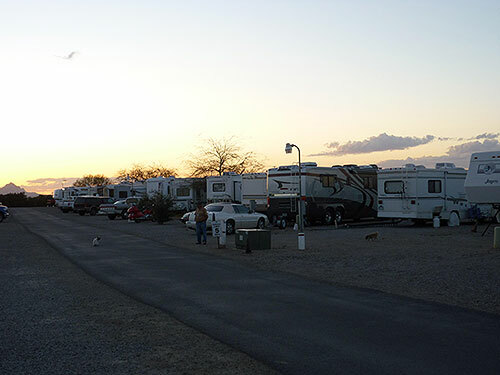 ALL RV SPACES HAVE COMPLETE UTILITIES, INCLUDING CITY WATER AND CITY SEWERS. WIFI IS AVAILABLE WITHIN RV AREA OF THE PARK. MANY 70' PULL THRUS AVAILABLE FOR EASY PARKING WITH 30/50 AMP HOOKUPS. LOW SUMMER RATES (MAY-OCT), AND COMPETITIVE WINTER RATES. PARK MODELS AND MOBILE HOMES CAN BE PURCHASED DIRECTLY FROM THE PARK ON SITE. ORGANIZED ACTIVITIES SUCH AS: COMMUNITY BREAKFAST, BINGO, POKER NIGHT, CARRY-IN MEALS FOR HOLIDAYS, ETC.